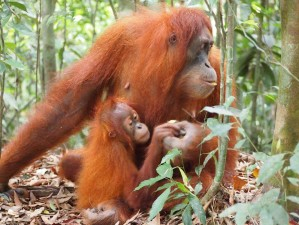 Want to spot Sumatra Orangutans in the wild? Love nature and want to explore the local villages? Then come on our 9 Day Sumatra Highlights Tour - including Elephants, 1/2 day Sumatra Orangutan Trek, Hot Springs, School Visit, Cooking Class, Market. 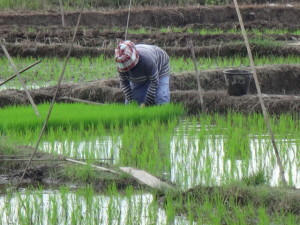 9 Days 8 Nights – The Real North Sumatra. DAY 1. Pick up from airport Kuala Namu or Medan accommodation. 4-5 hours drive to Tangkahan. In the afternoon, explore river, waterfall and hot springs or just chill out. Accommodation at Tangkahan. Day 2. After breakfast morning elephant washing (elephant ride extra 750.000 pp and needs to be booked in advance and not available on Fridays). Optional activity late morning/early afternoon river tubing to a waterfall and swimming hole. Accommodation at Tangkahan. Day 3. Morning drive to Bukit Lawang (approx 2.5 hours on bumpy road). Afternoon to relax and explore the river and village. 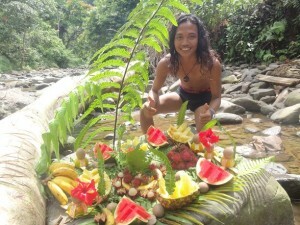 Accommodation Bukit Lawang. Day 6. 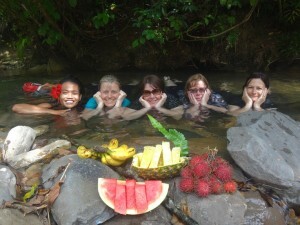 Full day 4WD trip to waterfall and hot spring with lunch. Late Accommodation Bukit Lawang guesthouse. DAY 7. After breakfast check out from Bukit Lawang to go to a school visit as part of Pack for a Purpose Program (if a school day) drive to Batu Katak (approx 1 hour drive). Afternoon Indonesian cooking class and shared dinner. Accommodation Batu Katak. DAY 8. Options for day in Batu Katak. Accommodation Batu Katak. 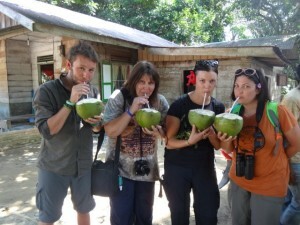 Morning village walk or 1/2 day gibbon walk to spot wildlife ( possibly see gibbons, monkeys and maybe orangutan). Help the children at local volunteer English school at 3pm-4.30pm if its mon to wed (school supplies or clothes donations). easy river walk and rubber tubing back to guest house. Traditional sauna or traditional massage. Day 9. Leave Batu Katak drive to the airport or Medan accommodation, option to visit the grand mosque and summer palace if enough time. Tour concludes today.